© Large Ink 2019 / All rights reserved. Our team installed window perf on roughly twenty feet of windows at the entrance of the Bemis building. 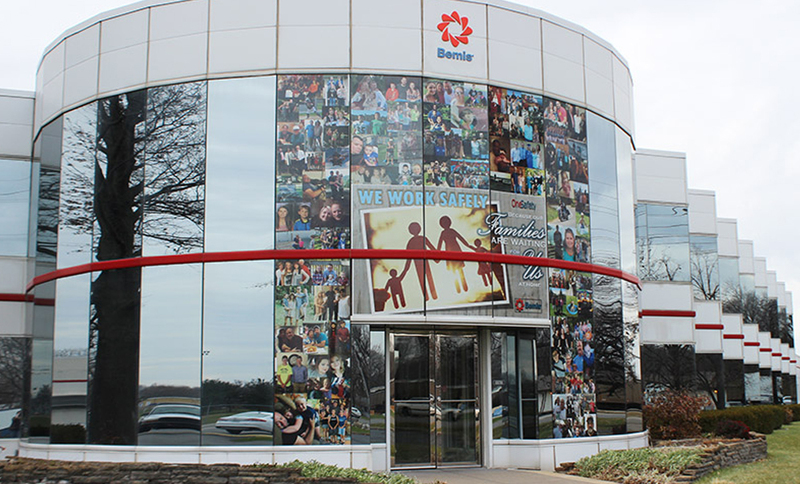 Our design collaged over 100 pictures of employees’ families to accompany their slogan.